b) Roughcast– A large amount of mortar is scooped using a trowel and dashed against the wall then leveled using a wooden float to give a relatively rough surface. c) Sand faced finish– Uniform grained sand is used in this finish. The sand is then applied to the second coat of plaster using a skimming float. d) Pebbledash– To achieve this finish, small pebbles are dashed against a plastered wall and pressed into it using a wooden float. e) Scrapped finish– After a wall has been plastered and allowed to dry; scratch marks are made using a metallic scrapper or trowel. This wall is highly resistant to cracking. f) Depeter finish– It is almost similar to pebbledash. The only difference is that stone flints or gravel are used in place of pebbles. g) Textured finish– This is obtained on stucco plastering whereby different shapes and textures are made on the final coating using suitable tools. Plaster is a long-lasting finishing material that can withstand harsh elements such as high heat and humidity. Repairs on plastered walls are quite easy. 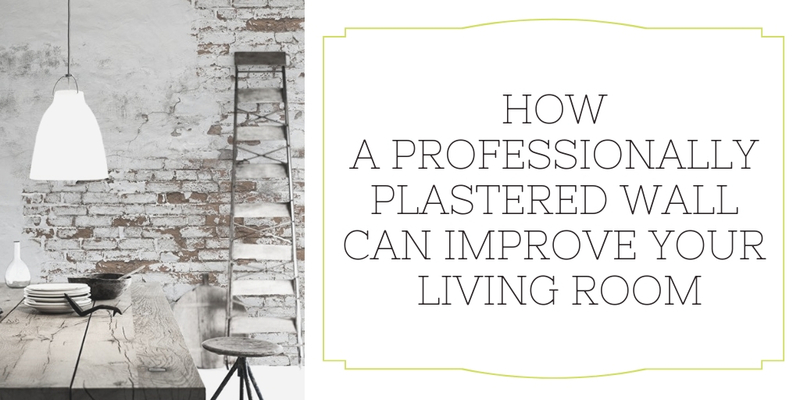 Plaster gives your living room walls a solid defined look that can be painted. Ensure that you provide your plastered wall ample time to dry before painting, to make it stronger. It is quite easy and fast to obtain a smooth finish on a plastered wall as compared to drywall. Plaster does not generate excessive dust as is the case when cutting and sanding drywall. Plaster dries up quickly and does not need multiple coat application to achieve a perfect finish. Plaster is a high-density material, a quality that makes it an effective sound barrier thus providing you with the much-needed privacy and quietness as it keeps out noise from traffic and loud neighbors. Plaster will give your living room better sound transmission so you can hear each other better. Plaster contains gypsum, which is a non-combustible element that makes your walls fire resistant. Professional plastering makes your walls resistant to mold and mildew. Another advantage of plaster is that it is pollution free and does not leave a dusty wall surface. Enlist the services of professional plasterers near you, to assist in decorating your living room walls.